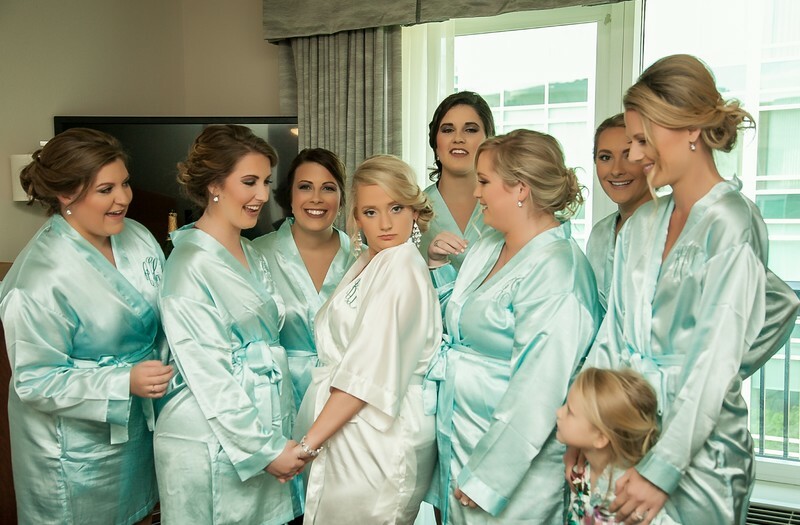 The bridesmaids were having fun in front of the windows here, wearing their matching robes. There's nothing that can tie a group photo together, like matching colors. The mood with this group, was truly energetic, and carefree, which is what we love! Location: 171 Riverplace, Greenville, SC 29601.